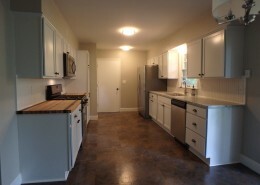 The Danberry Building Corp is a small family owned business that takes pride in helping homeowners design, build and remodel the homes of their dreams. My name is Lyndsey and I graduated with a journalism degree from the University of Minnesota, and an MBA from Bethel University. My father, Jeff Danberry has been in the building industry for over 30 years. We started the Danberry Building Corp together in an effort to offer superior quality and overall customer service – our number one priority. We’re there to partner with you to make sure your new home is exactly what you want and within budget. Please browse the rest of our website and see why homeowners fall in love with the commitment, excellence and overall experience of working with Danberry. 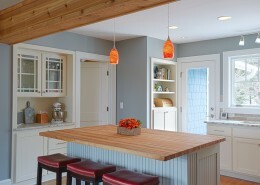 We understand that starting your home design project can be overwhelming, but we’re here to help! 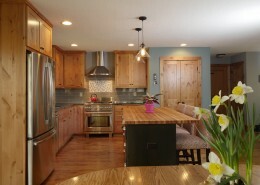 We have years of home build and design experience and we love helping homeowners design the home of their dreams. There are no hard and fast rules as to where you should start when considering your home remodel or new home construction project. At Excelsior Design Group, we have a complete staff of experienced design and build professionals to guide you through every step of the process. Should I start with financing? Should I start with the zoning department? Should I start with an interior designer? Should I start with an architect? Should I start with a general contractor? Should I start with my realtor? Whether you’re designing your kitchen, bathroom, basement or entire house, we can guide you through the maize of regulations and procedures to help ensure the successful completion of designing your home. Click here to check us out on Houzz! Haven’t you waited long enough to remodel? 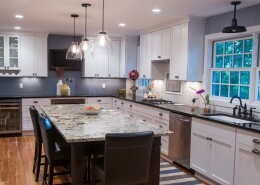 Contact the Excelsior Design Group to design, remodel and build your home with an “EDGe” today!